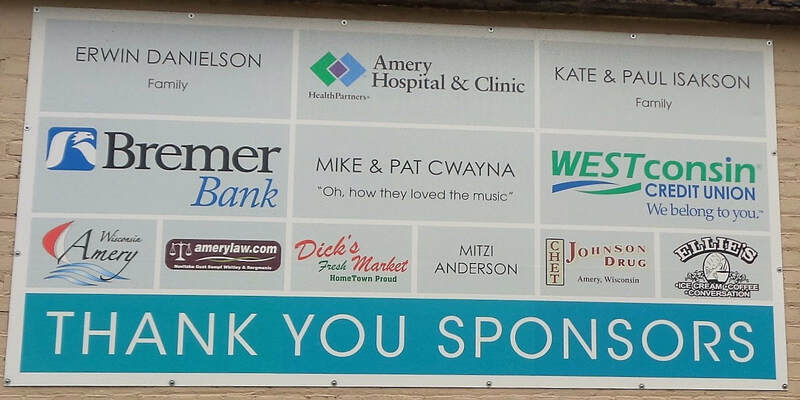 The Amery Community Club Chamber raised approximately $85,000 in private donations to complete a bandshell at Michael Park. Its intent was for it to be for music events, arts performances, festivals, school events, speakers, worship services, and weddings. On a building adjacent to the park, these "Thank You" signs to various sponsors have been painted. ​Music on the River Concerts are held every third Friday in June, July, and August. They are presented by the Amery Community Club Chamber.